◊ Journalist Christoph Gunkel’s Article for Spiegel Online, a Leading German News Website, Remembers the 80th Anniversary of Jimmie Angel’s 1933 Discovery of Angel Falls. 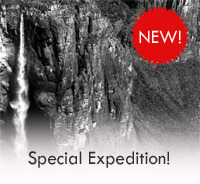 ◊ “Why the World’s Tallest Waterfall is Named Angel Falls,” by Karen Angel. Terrae Incognitae, Journal of The Society for the History of Discoveries, Vol. 44 No. 1, April 2012. ◊ “The Legends of Jimmie Angel,” by Karen Angel. AMÉRICAS Official Publication of the Organization of American States, April 2011. ◊ “Las Leyendas de Jimmie Angel,” par Karen Angel. AMÉRICAS Publicación Oficial de la Organización de los Estados Americanos, Abril 2011. ◊ "Angel Flight," by Don Bedwell. AVIATION HISTORY, May 2011 (Table of Contents). ◊ "The Flamingo," by Peter Bruemmer, January 2011. 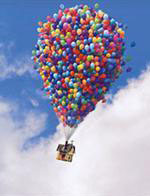 ◊ "UP: British Photographer Adrian Warren Inspiration for Disney Pixar Movie," The Telegraph. ◊ "Truth or Dare: The Jimmie Angel Story" by Jan-Willem de Vries, Graphic Artist, The Netherlands.